Bosa Sennen, pirate queen, had tormented merchants and traders for years. With a reputation for excessive and imaginative violence and destruction, none met her and survived unless it was her decision. Until, that is, she met the Ness sisters and underestimated their drive and affection for each other. Now, only Fura and Adrana Ness, and their small crew know Bosa is dead and they have taken her ship. With the rest of space thinking they are Bosa or worse, the Ness sisters are forced to take more and more drastic measures to remain one step ahead of those who suspect the truth and want the pirate queen’s wealth for themselves. 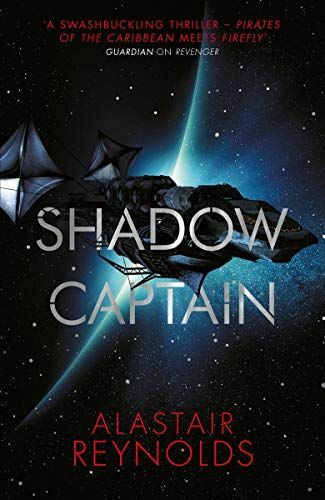 Shadow Captain picks up not long after Revenger finishes with the Ness sisters and their skeleton crew coming to grips with their new ship and looking over their shoulders at every strange light or noise from space. They are running low on supplies, and even though they have the currency to restock, they have a reputation problem which prevents them docking anywhere. Fura and Adrana are also dealing with their own changes. It’s reasonable to suggest both sisters are suffering from PTSD after the events of Revenger, and when they should be working together, they are concealing. Revenger never promised us a happily ever after and Shadow Captain upholds that non-promise. Reynolds uses the darkness of space and the sealed nature of the ships to ramp up tension. Is there another ship following them, or is it the overreaction of a nervous crew member? Distrust breeds disloyalty at a time when they need to be working together. 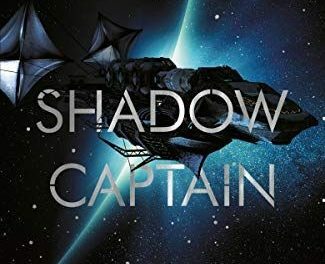 The constant build of tension, consequences of decisions coming home to roost and the need to deal with unsavoury characters because of their reputation, makes Shadow Captain impossible to put down. Revenger was my first Alistair Reynolds and catapulted him into my favourite author list. Shadow Captain seals his place there for all time. I can’t wait for the next instalment of the series.